Adjustable black cording with easy slide knots for a perfect, custom fit. 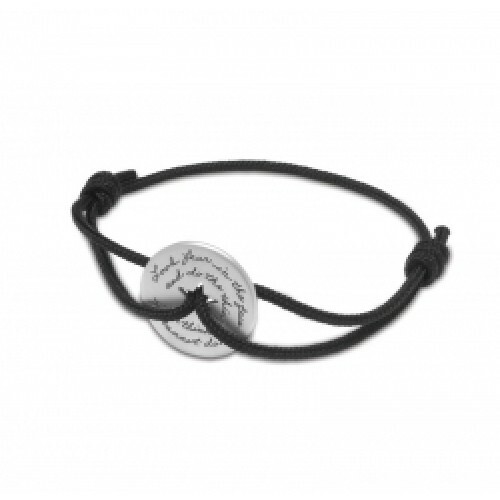 Bracelet comes in a lovely gift box with a printed quote, ready for gift giving. 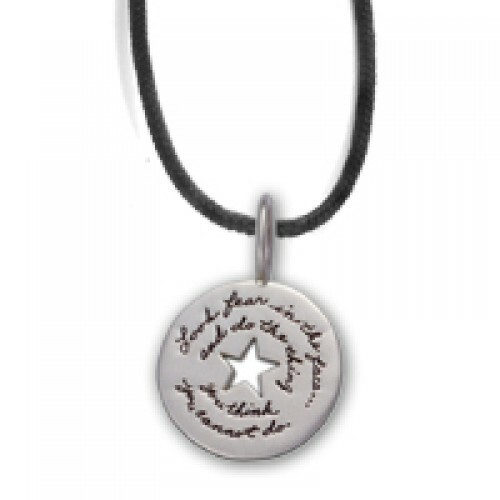 BB Becker's jewelry is know for its remarkable legibility and long-lasting imprint. Carefully selected quotations are chosen for their uplifting nature and wisdom. Often teh quotations gain significance due to the life lived by the source. BB's wife, Jo's handwriting is a personal touch.